One of the most popular and effective developments in cosmetic dentistry, veneers are thin, custom made casings that cover the front side of your teeth. Veneers are used to correct uneven teeth, worn enamel, discoloration, chipped teeth and irregular spacing, and can last over 20 years. In some cases, veneers can serve a restorative purpose and can protect a damaged tooth from further harm. What Does the Procedure Involve at the Tijuana dentist? After a thorough examination of your teeth at Samaritan Dental, which may include X-rays and taking impressions of your teeth, your Tijuana dentist will remove a thin layer of enamel from your teeth. Then he or she will create an impression and send it off to a laboratory to create the veneer. While the mold is being created, your dentist may provide you with temporary veneers. Finally, the veneer’s size and color are given one last adjustment before they are cemented to your tooth on your second visit. What Are the Advantages of Veneers at Samaritan Dental Tijuana? This is an all-ceramic veneer with an appealing translucent color which is combined with extra strength and durability. Considered to be one of the best matches with your own natural teeth, the transparent color and lifelike shape ensures that it will blend in very well. The non-porous design of Zirconium is incredibly strong and resistant to chipping, cracking and staining. It is made with computer precision, and is laser cut. This means it will seal better and last longer. The fact that the material is biocompatible means that it is safe to stay within your mouth for a long time, alleviating any worries about adverse reactions. 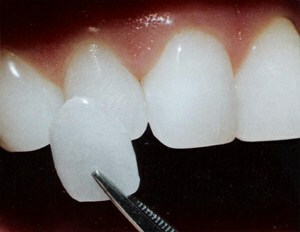 BruxZir is a monolithic zirconia material with no porcelain overlay. Though it was first launched as being “More Brawn Than Beauty,” thanks to the new BruxZir Shaded formulation, it now exhibits improved translucency and color similar to natural dentition, making it an excellent choice for veneers. In fact, BruxZir is so resilient that it’s backed by a seven-year free replacement warranty. A custom-made set of E.Max, Zirconium, or BruxZir veneers can be installed in 2-3 visits and is proven to last over 20 years, when properly maintained. * Note: Lumineers are a particularly popular type of porcelain veneers, mainly due to marketing efforts. However, they are not the best veneer; just the most expensive. Although the Lumineers brand tries to promote that they do not require your teeth to be shaved, the truth is, as with all veneers, the surface must be prepared or you will not get a good seal. In our experience, we have also found that this brand is the most likely to fail. For this reason, we no longer offer Lumineers. In rare instances, veneers can chip or crack, in which case they would have to be replaced. Since enamel is removed in the procedure, the process is not reversible, and you may become more sensitive to hot and cold foods for the same reason. If you grind your teeth in your sleep, you may be asked to wear a mouthguard when you go to bed. Many people who grind their teeth in their sleep don’t even know it, but your Tijuana dentist will be able to tell you if you are one of those people from the wear on your teeth. Depending on the experience of your dentist and the material or brand being used, veneers can cost from $1100 to $2000 a tooth in the USA. At Samaritan Dental in Tijuana, we charge only from $425 for porcelain veneers. The information in the article is not intended to substitute for the counsel and expertise of a medical professional. We encourage you to discuss any decisions about treatment or care with your dentist.